An in-depth guide to experiencing Kundalini, the universal force of awakening. The universal force known as Kundalini has been shrouded in mystery for centuries, yet it influences our every breath, thought, and emotion. With Awakening Kundalini, one of the West's most respected teachers and researchers in the field explores this spiritual principle in unprecedented depth, with detailed guidance for discovering and working with it directly. In India's spiritual teachings, Kundalini is known as the principle within that compels us to evolve and grow. Traditions across the globe have described it as a force that lies dormant within us and, when awakened, connects us to the energy of creation and profoundly elevates consciousness. With his unique expertise in modern psychology, neuroscience, meditation training, and spiritual traditions, Lawrence Edwards clarifies the many dimensions of Kundalini awakening, including practices and meditations for recognizing its manifestations and preparing your body and mind to enter its expansive, empowering flow. When worked with skillfully, Kundalini is the most profoundly transformative power in our lives. 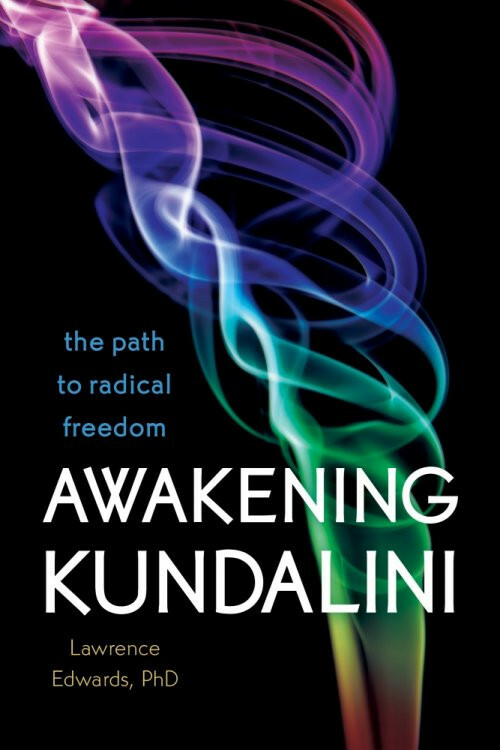 Awakening Kundalini makes available a complete and practical resource for tapping into this force, and realizing your ability to live "radically free." "This book is a revelation—a grace-filled opening loving message for the heart that is a service to all of us, beginner, Initiate, Sage. It is a book about awakening that inspires awakening. It is a book about honoring the feminine that is a true sacred marriage of the masculine and feminine—remarkably clear and beautifully poetic. The book is elegant in the truest scientific/consciousness-based way—simple and so powerful. Lawrence Edwards supportively guides us on our own heroic journey in a way that demonstrates he is what he writes about — so humble and so wise, a real teacher." "Lawrence Edwards has given us an incomparable gift — one that I personally will treasure for the rest of my life: a detailed, compassionate and brilliantly clear guide to the greatest mystery and greatest revelation of our existence. It tells the story of his call through his early visionary experiences to the profound process of awakening known in the Yogic tradition as Kundalini, his meeting with his Indian teacher, Swami Muktananda and how his life unfolded from that fortuitous meeting. Drawing on the rich legacy of numerous traditions — including Jungian, Western psychology and scientific research — in addition to traditional yogic and mystical ones, his book is an incomparable aid in taking us beyond the confines of the delusionary certainties of our ego mind towards the experience of the deepest ground of our own being. Kundalini — known by other names in other spiritual traditions — is the path of reunion with the Divine Consciousness that lives and breathes in all of us: capable as he says, of transforming our mind, our body and every aspect of our lives. This is what might be called the “Direct Path to Union” and there is no-one better qualified to explain and teach it, or to accompany us on our own mythic journey of discovery." This book is an indispensable guide for anyone on the path of spiritual awakening. Dr. Edwards has devoted his life to studying and practicing the unfolding process of kundalini, the subtle spiritual energy within everyone that leads to the highest states of consciousness. His depth of knowledge, personal experiences, and devotional poems illuminate the pages of this extraordinary book. "Acknowledged worldwide for his professional experience in guiding people along the spiritual path, particularly through the mysteries of advanced yogic practice, Dr. Edwards is a gifted and compassionate guide. His devotional journey will inspire all who read his book. It is destined to become a classic in the field." "This book is 'state of the art'— a very ancient art brought up to date. "Edwards explores spiritual principles with his unique expertise in psychology, neuroscience, meditation training and spiritual traditions. In fact, we believe that to date, this is the most comprehensive discussion of the Universal Life Force known as Kundalini in Eastern thought and Holy Spirit in the West. Western psychology has mapped our psychological and emotional development. Western medicine has mapped our physical development. Now Edwards shows us in unprecedented depth each step of our spiritual development through easy to understand stages that are also practical. "Toward the end of this excellent read, Edwards helped us to experience the realization that we humans are capable of and entitled to the wonder and splendor of each moment." "This book makes me very happy. First, as a woman, it is fundamentally reorienting to read the work of a man who is so joyfully devoted to the wisdom and transformative power of the divine feminine, Shakti Kundalini. As a psychiatrist, it is immeasurably helpful to have a clear framework to understand the gift of the extraordinary consciousness beyond our usual body-mind perspective. Understanding the creative process of Shakti’s unfolding in the evolution of our Self is a much-needed perspective in interpreting the physical, mental and emotional challenges that can arise in us, whether or not we are actively seeking to cultivate the vital flow of Kundalini. Interweaving poetry with thoughtful prose, Dr. Edwards provides detailed guidance for exploring meditative techniques and other tools to work with this ancient tradition in our everyday lives. Further, he provides a balanced treatment of the psychological process encountered in inner work, including important discussions on the healthful role of the ego-mind in the process of Kundalini awakening, and support for working with our shadow—essential but often neglected topics in spiritual guidance. Our understanding of the human journey is greatly aided by the illuminating and practical wisdom provided here, it is an inspiring reference manual for my work with others. "There is a rich array of teachings for everyone from the layperson to the professional!" As others have mentioned, this is a wonderful companion for any spiritual seeker that helps to expand your sense of self and purpose. *Awakening Kundalini* offers solid information about Kundalini and how we can integrate an understanding of Kundalini's amazing transcendence within the everyday. The book is both informative and enjoyable, revealing the humble and witty spirit of Edward's scholarship and devotion as well as his deep knowledge of the teachings. This book would be incredibly useful for any spiritual seeker. It is a road map from one that has traveled it, and arrived. How wonderful it is to know where one is going and to be guided easefully on that journey. If one does not want to get lost on the spiritual path, then this book can be your greatest friend. Lawrence speaks with great clarity about how the kundalini works, how it unfolds, how to prepare yourself for that unfolding, and what to expect on the journey of Kundalini awakening. But, the most wonderful thing about this book is not what Lawrence says, but where those words are coming from. Every word is coming straight from the source. It is as if kundalini herself is speaking. I can feel everything he says as I read the book. The energy coming from the words is so strong that it is our awakening kundalini as we read. This is not just another spiritual book. It is a real treasure because it is both filled with incredibly clear explanations, and the divine energy of kundalini. If you are looking to awaken, I highly recommend this book. interested in learning more about this still mysterious process.